This is a 5-6" blowfish. See a picture with a ruler. 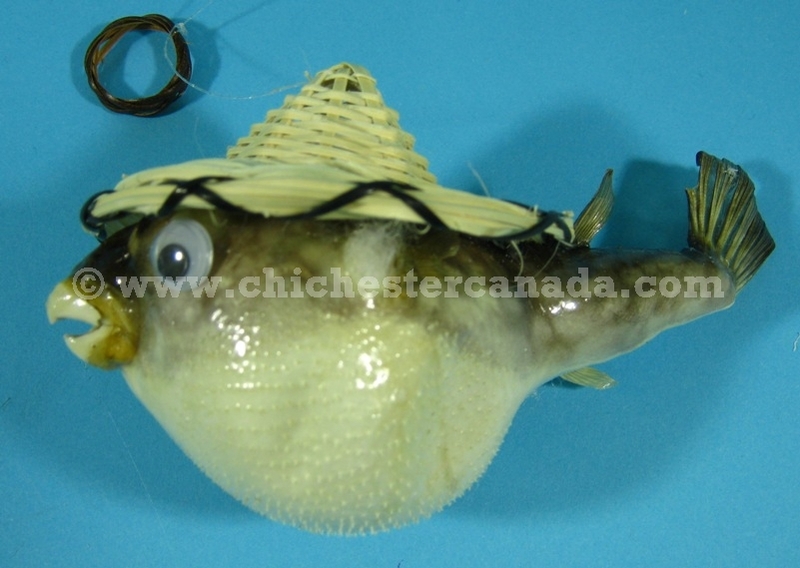 We have a limited supply of real taxidermy blowfish in various sizes. These comical ornaments come with googly eyes and a straw hat. They may or may not have some small dents on the surface. 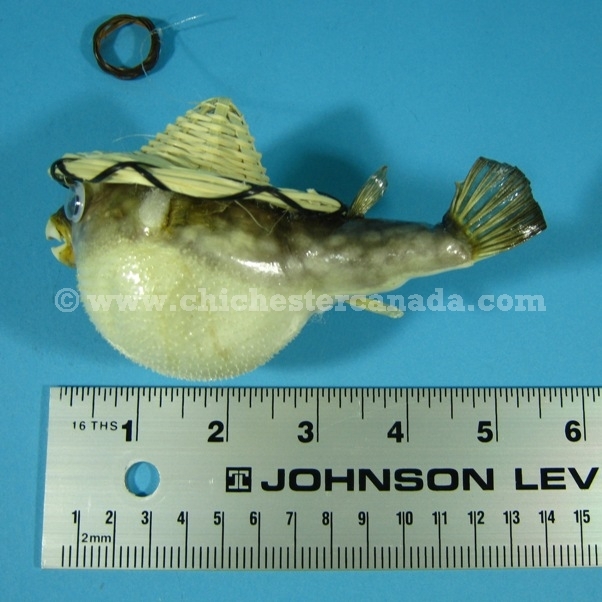 Please note that due to its taxidermied nature, we cannot fix the dents on the blowfish. If you want to see what you will be getting before we ship, we can send pictures upon request. Genus and species: Arothron stellatus. Wild.